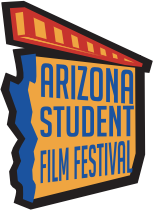 Welcome to the Frequently Asked Questions page of the Arizona Student Film Festival website. We will be updating this page as we get questions. Please read through the FAQ. If you still do not see an answer to your question, feel free to email submissions@phxfilm.com. Yes. You may. In fact, if your entries truly excel, you may have more than one film as a finalist and therefore have more than one film screen at the film festival! Entries should be submitted in the category when they were made. Therefore, you submit it in the grade school category. 6. I read the rules and it said that the films couldn’t have any adult content or language. Isn’t that censorship? 7. What about one swear word or, like, there’s this killer and there’s no blood except…. Here’s what we will say: you have read the rules, you know your film so you know if it is appropriate to submit. We can’t make that judgement for you. Films should be suitable for all audiences. 11. What about brands or logos? It’s not a good idea to put brands or logos in your film. Sometimes it’s unavoidable (a FedEx truck drove through the background of your shot), but if you can avoid it (wear different clothes, drink out of glass instead of a can, peel the label off of the bottle), you should. 12. Are there restrictions as to where I can shoot? If you are planning to shoot on a city street or park, permits are usually required. Check with your specific city for permit information. Because of cost and time restrictions, you may not be able to get the correct permits. Part of being an independent filmmaker is ingenuity. So if you can not shoot in a city park, maybe you can find a place on your school’s campus that looks like a park. Similarly, to do a driving scene, you will have to get permits and police to block off the road. But you can also try to “fake” a night time driving shot in a garage with the car off and flashlights. Check out “poor man’s process” on line if you’d like to see an example. 13. My friend and I really did this together. Can we enter with both of us? 14. I did the music on a film. Can I submit it under my name? 15. HOW MUCH HELP CAN I GET FROM MY MOM/DAD/TEACHER? You the student have to be PRIMARILY responsible for the film. They can offer suggestions, but they can't do things for you. So they can move a light for you or cook lunch for the crew, but they can't tell you how to frame the shot or write any of the script. 15. Why only a DVD submission or a vimeo link? Can’t I just send you a link to my youtube channel? Vimeo is a password protected site that filmmakers use to secure their films online. Because most of the filmmakers and some of the talent are underage, we do not recommend uploading films for online use without a password protection. It also makes sure people can't steal your work and reuse it. 16. I forgot where I was supposed to send the DVD. 17. I have another question, but it’s long. Can I ask you? Sure. Ask away. 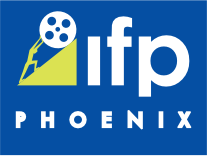 Send an email to submissions@phxfilm.com with AZSFF Question in the subject line.